Obasanjo, who was then PDP’s Board of Trustee (BOT) chairman left in 2015, after he publicly ordered that his membership card be torn out of anger. The meeting, which held at the Olusegun Obasanjo Presidential Library (OOPL), Abeokuta, had in attendance, the BOT Chairman, Walid Jibrin. In a statement, Obasanjo’s Media Aide, Kehinde Akinyemi, disclosed that other things discussed at the parley included: distressed and prostrate situation of the country, progress of the MoU on grand alliance of the Coalition of United Political Parties (CUPP) and appeal to the former President not to be tired of giving leadership to save the country from the throes of mismanagement and shipwreck. “Baba also underlined the pitiable situation of Nigeria today and the inexcusable killings and insecurity almost all over the country, as well as, the unprecedented division of the country, regretting that the current administration seems to have no credible solutions for those challenges,” the statement added. On the coalition of CUPP being championed by PDP, Obasanjo advised that the coalition should remain an alliance as being projected and not a merger, stressing, “the MOU for grand alliance is what it says, a grand alliance. It is not a merger nor absorption of any political party by any political party. “It is clearly for the parties, who agreed to be members of the alliance to work together to achieve one important common objective at the national level for the election of 2019 and where it is appropriate and necessary members may also form alliance and cooperation at the state level,” the statement indicated. “It is also desirable that in the process of implementing the MOU to achieve the set objectives, solidarity and focus on the objective must be maintained. Each member political party must be cautious of fake news, rumour, blackmail, and seeds of discord that may be sown among them from external quarters,” Obasanjo was quoted as saying. 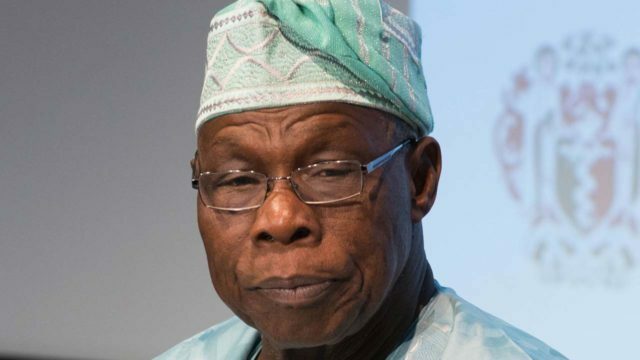 Obasanjo, was also said to have told his guests that even though had quit partisan politics, he would continue to make himself available to guide any party that wished to be guided, while giving priority to the African Democratic Congress (ADC).